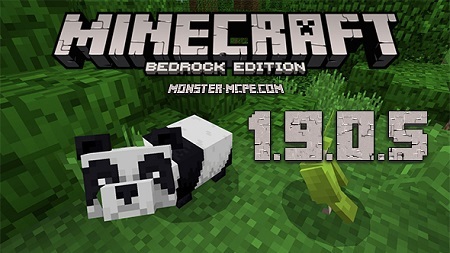 New update of MCPE which is beta version 1.9.0.5, there was fixed a big number of various bugs. Enjoy playing with your friends and if you can, find bugs which were missed by the developer. Before you will start to play this version, let's get some useful things which will be useful to know before playing this version of the game. Please note that before the release, some functions of the game will be removed, it is because not all the list of bugs will be available in the release. Also, recommended do not play during the testing period on the servers which is not the beta! For the game, you should create your own testing servers and enjoy playing the game there with your friends. The most important thing is that almost all the devices can support beta testing, such as Android, X-Box and Windows10. 1. There was fixed some crashes which were previously caused by various actions. 2. From now be more attentive, because dinosaurs can attack the player and cause damage. 3. In case if the inventory of the player is full or he has used craft-book, his items will not be dropped. — The correct spawn of surfaces in biome of Taiga. — Some creatures such as sheeps or cats will not have black textures after spawning with spawn egg. — Fixed crash of the game after you leave the menu of Settings. — The correct position of shulker while his attacks. — The correct spawning of a jockey on the horse or on the spider. — Fixed speed of animated creatures and items. — The correct animation of pandas eating, such as held bamboo, and other food. — Even if the player will turn off his multiplayer, the player can join the gaming session. — A model of rabbit was fixed. 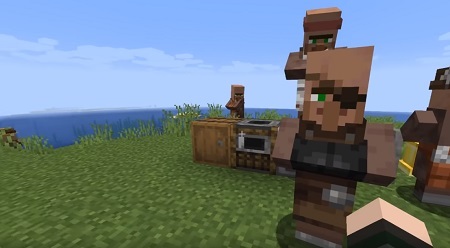 — The correct animation of Pigmen. — The fixed crash issue with changing of a resource pack. — No black color of blocks or Hotbars. — Spawning horses in almost all the areas of the gaming world. 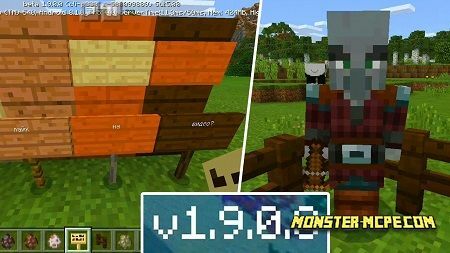 — The correct appearing of your character after loading of the old world of MCPE. 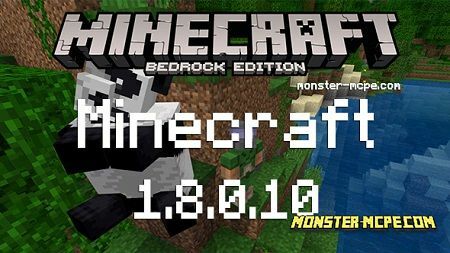 Download and share MCPE 1.9.0.5 for Android (BE), and enjoy playing with your friends. Do not miss the news or other information about the nearest updates in MCPE world, all you need is just to subscribe and follow us. We are waiting for your feedback. Have a good time!